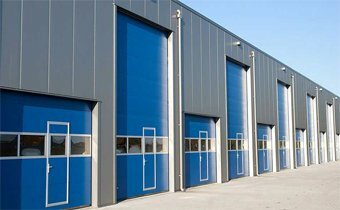 This charming residential town could really use the help of an excellent garage door service provider to help them maintain the quality and look of their garage doors. That is why A1 Garage Door Service has committed to giving homeowners in Prairie Village excellent service. We provide solutions to all your garage door concerns so that homeowners will not have a hard time keeping their garage door working smoothly. Through the years, A1 Garage Door Service has been the most trusted and respected garage door service company here in Prairie Village and nearby areas. We are a local business and family-owned and operated. This works best for us because we are able to make our own contribution to the development of Prairie Village and we know what the people need because we live in the same community. Providing excellent garage door service has been our family’s legacy and the homeowners of Prairie Village has come to associate A1 Garage Door Service with our A1 brand of service. From the time that you need a new garage door to the time that you need assistance with its installation and setting up the parts and accessories to the time that you need help in taking care of its condition so that it will always be in tip-top shape and to the occasional moments that you need help with the defects of your garage door, trust only A1 Garage Door Service to stick with you all the way. It should be A1 from Day 1. A1 Garage Door Service has all the products and services that you need for your garage door. Get the most durable, stylish, and functional garage doors, parts, and accessories from A1 Garage Door Service. Get professional service for every garage door installation, maintenance, and repair service that you avail from our company. We are sure that you would not want to transact with anyone else after experiencing our A1 brand of service. No one else can compare to our level of expertise and professionalism so make sure that you stick with A1 Garage Door Service from Day 1. Homeowners here in Prairie Village can heave a sigh of relief because no matter what time of day they experience garage door troubles, they can always call on A1 Garage Door Service for assistance. Our hotline is available 24/7 because we know that garage doors can break down at the most inconvenient time. We do not want you to wait another day until your garage door is fixed because it will pose safety and security risks for you and your home. So, anytime you need help with your garage door, know that our garage door experts are on standby and ready to assist you. A1 Garage Door Service offers fast and efficient service to put your garage door back in perfect working condition in no time.